Consumers are spending more money than ever given the United State’s near-record low unemployment rate of 4%. What that means for your business is the time is now to improve your processes to get out in front of as many customers as possible. Before you start putting a ton of money into advertising though, let us ask you a question… Do you accept credit card payments? If you answered no to that question, stop what you’re doing. The single most important thing you can do to skyrocket your success is to start letting customers use cards when shopping at your business. Not convinced that you should move away from cash and towards plastic? Below, we break down a few reasons why you absolutely should. Competition is what drives businesses. If your competitors are slashing prices, you probably are. If they’re selling an item that everybody wants, you’re probably trying to get your hands on that item too. If being competitive in your industry is important to you (and it should be) then take a look around and find out if your competition is accepting credit cards. We’re willing to bet that they are. Don’t get passed up by customers because you don’t accept plastic as a form of payment. Be competitive and start diversifying your payment options today. Are you worried about the credit card company fees that come with accepting plastic? You shouldn’t be. First off, most customers won’t mind you raising your prices slightly if means that you’ll take credit cards. Second, consumers will subconsciously spend more at your establishment with a card regardless of if you fiddle with your pricing or not. Because psychologically, consumers are more conscious when they’re handing over cash than when they swipe their card. That lack of awareness could mean a lot more impulse buys driving up your revenue. This advantage of why you should accept credit card payments is an obvious one… You’ll score more sales. Bottom line, the more ways you give people to pay, the more people that you’ll be able to sell to. Don’t shut your business off to the growing portion of the population that isn’t carrying cash around. If you do, you’re going to lose a lot of money. People don’t like not being able to pay for things the way they want to pay for them. As a matter of fact, when people go somewhere and realize they can’t shop because they don’t have cash, they get downright upset. This is obvious when you look at a cash-only establishment’s reviews online. Almost certainly you’ll see tons of people complaining about the business being “cash only”. And no, having a high-fee ATM in the corner of your store does not fix the problem. If anything, it only makes consumers more upset because they’ll suspect that you’re trying to gut them for more money. Don’t let fear of getting set up stop your ambitions to accept credit card payments. In today’s tech-age, doing so is easier than ever! There are literally hundreds of credit card processors you can do business with. Some of them are brands you may even recognize like Amazon, Square, and PayPal. You can read more about how to get set up with accepting credit card payments if you’re scratching your head on what steps to take. Talk to any convenience store owner and they’ll tell you that the number one thing they worry about is getting their cash stolen. It’s no secret that all cash businesses have a huge target on their back when it comes to criminal activity. Theft can occur from external thieves and can even come from employees who short registers. When you accept credit card payments, no physical money changes hands and therefore, there’s no risk of your hard earned cash falling through the cracks. The beauty of accepting credit card payments is that you can take your business anywhere. If there’s a Saturday outdoor market that you’d like to sell at, getting set up is as easy as bringing your credit card processor and laying out your inventory. You can even sell door to door if you wanted to. That level of mobility combined with that fact that you don’t have to deal with the liability of carrying cash is special and can immediately expand the reach of your business. Manually logging cash sales into your bookkeeping software can be a messy prospect. 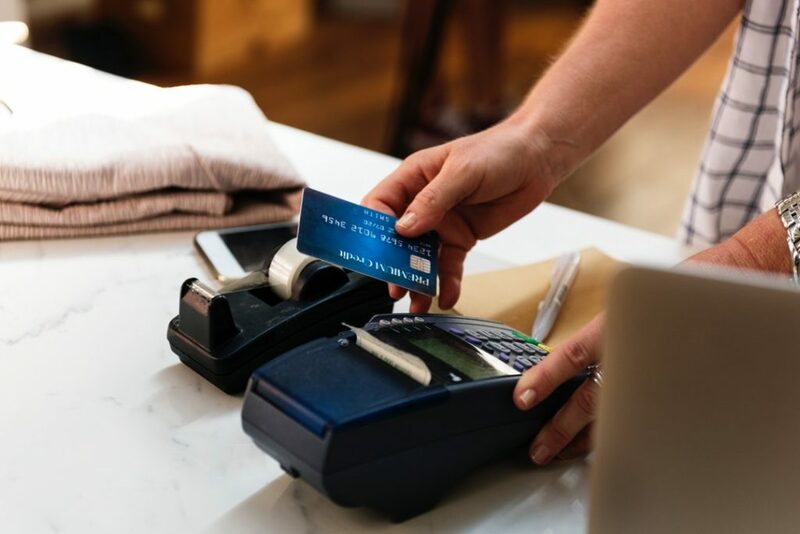 When you accept credit card payments, depending on the provider you’re working with, your sales will likely be automatically funneled into your software of choice. That could literally save you hours of tracking your sales when balancing your books at the end of the month. People are leaving cash in the bank and relying on their credit cards to buy the things they need. If you refuse to accept credit card payments, that reality could leave you woefully short on customers in the coming years. We hope that our points above inspire you to bring your company into the 21st century by finding a credit card processing provider that works from you and implementing credit cards into your operations! Want to learn more about how you can boost your company’s financial standing? If yes, check out additional content on All Things Finance today!